1987 300TD PPI results: still purchase ? Below is the attached PPI for a 1987 300TD with approx. 141K miles, and a clean CARFAX. Most of the items other than the dead SRS light, I can fix myself. Since the SRS is a safety item, I would expect him to fix this, as well as the door fuses and verify they work, as well as the two self-levelling struts since he's using "helper" shims. Based upon below, what items would you consider a deal breaker (please mark DB); or worth getting either a (C)redit; or have the (O)wner fix before purchase (e.g., 1: C; 2: C; etc.). In your opinion, would you pass on this car ? The pros, are the engine, drivetrain, and the front suspension. 3. Blower motor made noise with initial start-up then cleared up. 6. Ambient temperature gage in instrument cluster has defective display. 7. Tires (Kelly) are nearly worn out. 11. Engine fan shroud had crack through top and has black tape. control unit, etc . . .
21. Exhaust is good, except rear muffler has crack. 22. Car has dust shields front and rear; however, non-vented. 23. RF lower door moulding trim is loose at back edge. 24. No third seat in rear or seat belts for third seat. 25. No center headrest for back seat. 27. Three nickel sized dents in RF fender. 29. No lower engine splash panel, transmission panel was cut short. 34. Rear brake pads are getting low. 36. Steering wheel worn smooth at top. 37. Speedometer needle jumps (is not steady) at speeds lower than 40mph. There is NO RUST and the paint is in fairly good condition. All vaccuum door locks work, even after sitting a 12-hrs. 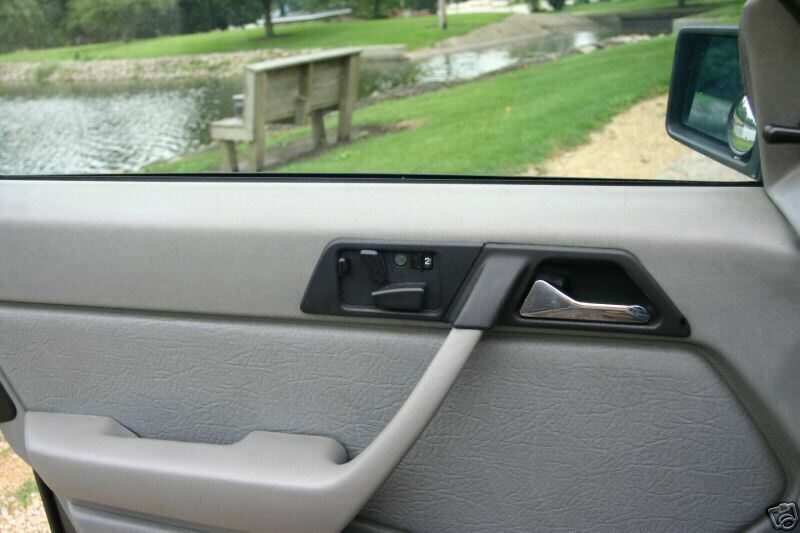 The self-levelling works, but the electronic trunk latch does NOT, but it still latches. The dirt is due to them living on a farm off a dirt road. Last edited by ke6dcj; 08-25-2007 at 08:06 PM. $8800 seems steep for having so many little things that need addressing -- especially with a #14 head. Does it appear to have the correct coolant? How about compression measurements? I wonder what #38 means - dirt in the storage well all the way in the back? 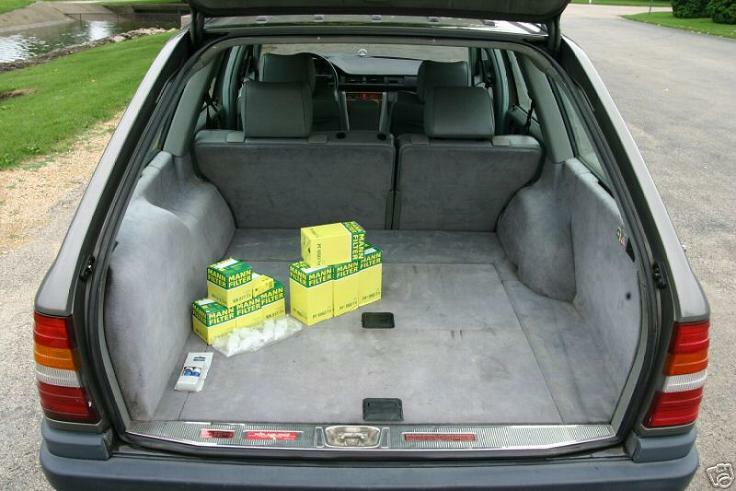 That's not under the rear seats though... Just not clear on where they are referring to. Does the car have a replacement airbag sticker in the glovebox? These were typically done circa 1997 I believe. Unless the shop really knows these wagons I wouldn't take "acceleration is good/normal" Better to have a 0 - 60 time. #23, if I understand it correctly, the original screws were not stainless and both of mine rusted out. The new parts from MB are stainless. Really easy fix. #25, the center headrest I believe was only supplied with cars that had the third row seating option. How about the alarm and vacuum locks? No mention at all in the report. I think that you should be able to get something in better condition for the money, but then again these wagons seem to be fetching premiums in some locations. Get the SRS bulb checked out - it only take a few minutes to pull the cluster and replace that bulb. It seems to me you got a fairly thorough visual inspection done of the car. 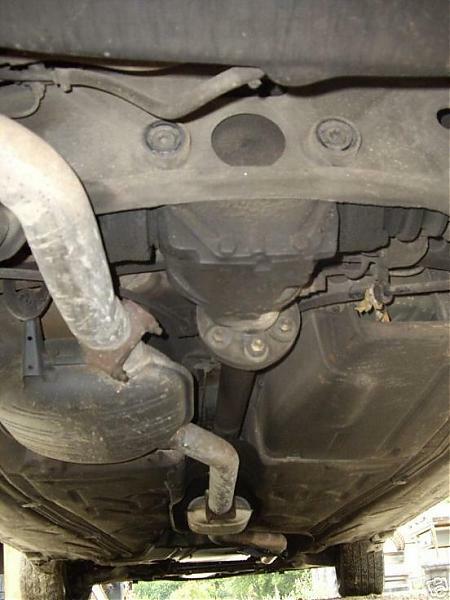 The major items (drivetrain and most of the suspension) seems to be in good shape, with the exception of the rear suspension which has a noted leak in one of the struts...my understanding is this can be a costly area so you should check that one out. It's a 20+ year old car at this point. 98% of the stuff on that list is typical of a car of that age. I would not expect the SRS system to function properly anyway after 20 years. The airbag was only originally certified for 10 years, maybe after 20 it would work but remember, it only has one airbag (driver's) and it is a first generation system...I would not call that a dealbreaker. The light probably came on 10 years ago and just burned out. I'd bet if you replaced the bulb it would be on all the time - so just buckle the seat belt and don't worry about it. On the surface, no, it's not worth it. That's an unreasonable amount of money for what sounds like a beater car. However, the report does not give information on the condition of the two most significant areas - rust and paint. Rust repair and paint work are extremely expensive; very few people can do them at home. Even on the mechanical side it needs a couple thousand dollars worth of work, and that's at mail order parts pricing and DIY labor. Unless you absolutely, positively gotta have a diesel it makes more sense to buy a late 124 wagon with the M104. In round numbers a 1995 model is half the age, same or fewer miles, generally better condition, and should sell for a few thousand $$$ less. But then, you know that, and you already have a 124 wagon with an M104. $8800 is way too much. Unless you live in Washington state... considering the demand of these cars I think a more reasonable (to some anyway) price would be in the $3-4k range. 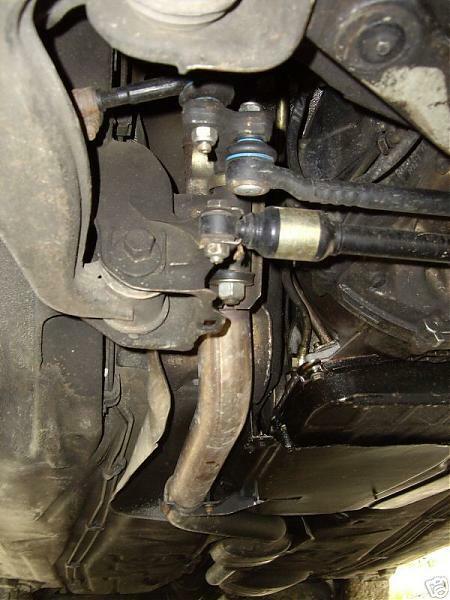 I think those rear struts are $500 a pop. If one is bad the other probably isn't far behind. 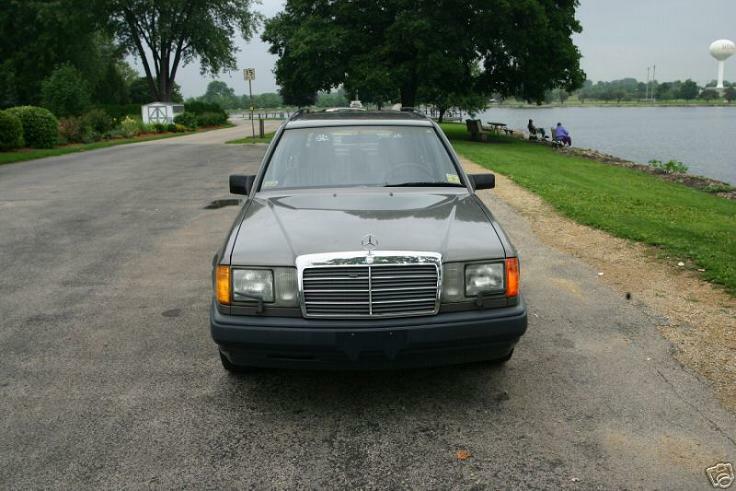 FWIW, I just paid $3200 for basically that same car (although most who look at eBay cars would consider that pretty cheap, I think it was just on the cheap side of a fair deal). Mine has no rust, and the body was in great shape till I backed into the front right fender . The front suspension was shot though. Since I've bought it I've bought ~$2000 in parts and tools to bring it up to daily driver status (belts, vac pump, suspension work, lots of misc engine stuff, etc). FWIW, the PPI was done by a very good Mercedes indy shop, called Star Mercedes (www.star-mercedes.com) who have been in the business over 20+ years, and their technicians have lots of W124 and OM603 diesel experience. The self-levelling works, but the trunk latch does NOT. Last edited by ke6dcj; 08-25-2007 at 08:07 PM. 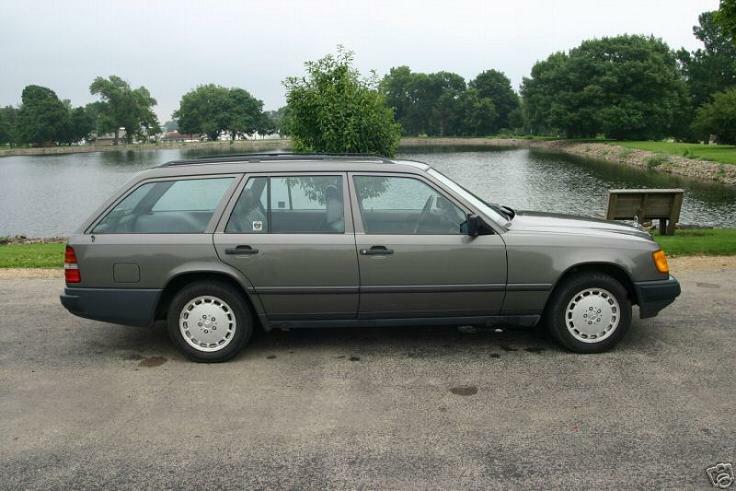 that is a premium price for an 87 diesel wagon so the car needs to be a premium example. These cars can and do sell for more, and also less. Sounds like less to me. 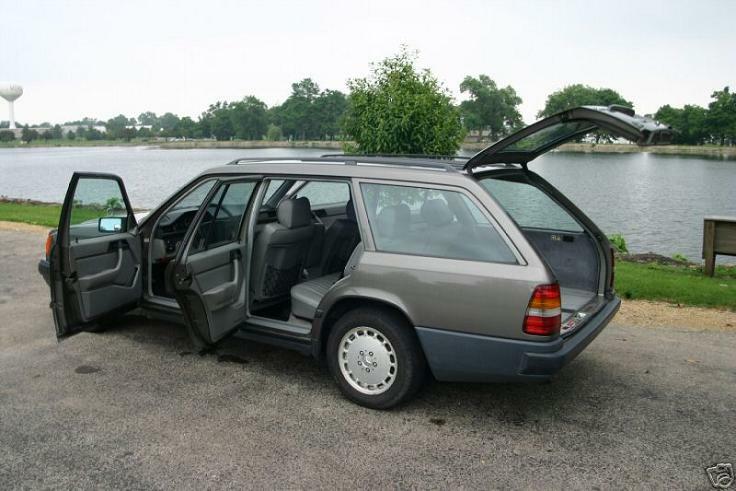 FWIW, the vacuum locks on a W124 aren't related to retaining a reservoir of engine vacuum - there is a separate on demand electronic vacuum pump located under the right rear passenger seat in the wagon. So, if the locks work it would be independent of time left sitting. It sounds like a pretty nice project car - lots of little things to do but nothing too major. It just seems like a few thousand too much for what it is. 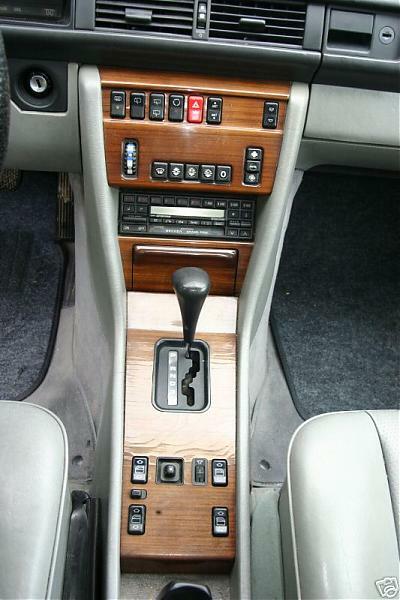 All things considered the price of $8800 seems a little high for 1987 300TDT. I paid $3500 for mine in 2004 and it had its share of issues. The mileage is lower which is good for a car of that age. Mine had 180K miles. One thing I would always check on is if the engine overheats on hills. My 300TDT seemed run a normal temperature around town, but on hills it would heat up rapidly to the point of almost overheating. It depends how badly you want this specific car. If you pay the asking price you will be into it for well over $10K by the time you get it sorted out. For that kind of money, you should be able to find something nicer. I paid more for an '82 TD, but it had none of the issues you mentioned...no issues at all actually. 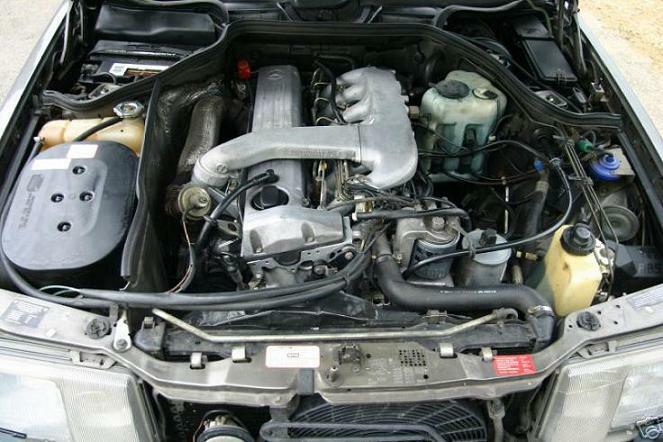 At that price you can expect complete service records, good paint, and a seller who is a MB fanatic. Sounds like the car you saw has a laundry list of deferred maintenance which will take the price of that TD to well over $10,000. You're better off finding a Florida, Texas, or CA car for $10,000 with complete maintenance records and in excellent condition, buying it, and driving it to wherever you live. There is an '87 TD in Los Angeles for sale. I test drove it a few months ago. He initially wanted $9-$10 grand. I wasn't about to drop that kind of money on it....I saw it on craigslist last week for $8500/best. It's probably a $5 or $6,000 car at best. I wish him luck. I also test drove an 85 CA, it was in better shape than the '87, but still had a few too many issues (for me). THough it did have complete service records for the past 10 years or so...that one sold on ebay for $6400. Sounds like a $4,000-$5,000 car to me, maybe even less. Run from this beast and don't look back. Last edited by ke6dcj; 08-25-2007 at 09:26 AM. 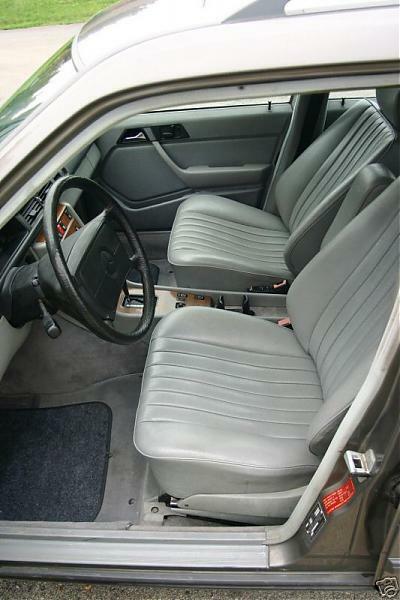 The interior look pretty clean, you just have to decide if this is a $10K car. Last edited by ke6dcj; 08-25-2007 at 09:30 AM.